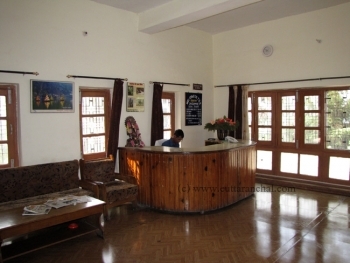 GMVN Tourist Rest House in Lansdowne is a deluxe guest house located in exotic picnic destination, Lansdowne. Lansdowne is a getting popular as a weekend destination. It is a hill station situated in Pauri Garhwal region at an elevation of 1,756mts above sea level. 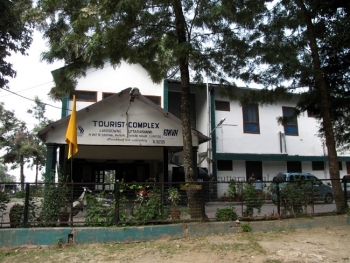 GMVN Tourist Rest House at Lansdowne provides comfortable accommodation for tourists and travellers. The rest house also has an in-house restaurant. This rest house was opened to guests in 1971. The GMVN TRH Lansdowne is located opposite to the Garhwal Museum on the way to main market. Lansdowne is situated at an elevation of 1,756 mts above sea level in Pauri Garhwal district of Uttarakhand state. It is located 42kms from Kotdwar railway station. The GMVN tourist rest house in Lansdowne serves with 1 Deluxe rooms, 2 Family Suites, 2 Economy rooms. The amenities provided in Lansdowne TRH are Cable TV, attach bathroom, hot water etc. The restaurant in GMVN Lansdowne serves variety of veg and non veg dishes prepared by experienced chef.